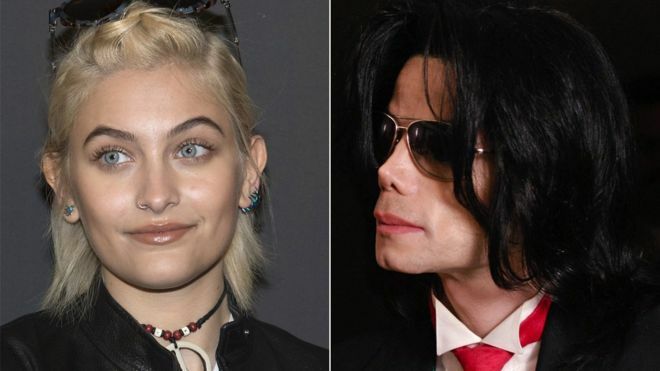 Michael Jackson's only daughter, Paris, says she believes her father was murdered, BBC reports. In her first in-depth interview, Paris told Rolling Stone she was convinced Jackson's 2009 death was "a setup". The singer died from an overdose of the powerful anaesthetic propofol. His doctor Conrad Murray was later found guilty of involuntary manslaughter. But Paris believes there is more to the story. "He would drop hints about people being out to get him," she said. "And at some point he was like, 'They're gonna kill me one day.'" Asked by interviewer Brian Hiatt if she thought her father was murdered, the 18-year-old replied: "Absolutely". "Because it's obvious. All arrows point to that. It sounds like a total conspiracy theory... but all real fans and everybody in the family knows it. It was a setup." She went on to say "a lot of people" wanted her father dead, and that she was playing a "chess game" to bring them to justice. The teenager did not name specific people, and did not implicate Conrad Murray in her accusations.